Does it bother you when you hear our faithful Working Dogs referred to as “equipment” instead of officers or partners? 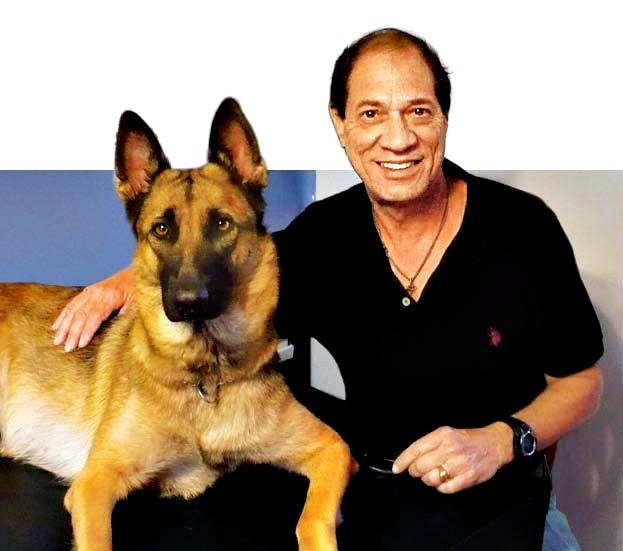 This language is prevalent in our local law enforcement offices, in our military and among the U.S. Customs and Border Protection’s Border Patrol, the largest canine users in the United States. It is a fact that the majority of the K-9s that serve to protect the general public are discharged from duty with absolutely NO BENEFITS. The lucky ones get adopted by their human partners while the not so fortunate are put to sleep. Who helps the handler if their loyal partner needs medical attention or a special diet as a result of his service to the public? WE DO! THE NATIONAL K-9 WORKING DOG! The NK9WD was established to help the adopting families with the expenses that go with keeping a highly specialized community servant comfortable in their retirement years. The National K-9 Working Dog, Inc. is busy identifying Working Dogs across the country so we can better serve them when they reach retirement age. 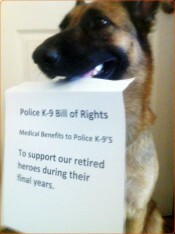 It is our goal to assist as many police K-9s as possible. By combining your generous donations and our database of Working Dogs, no retired working dog should ever have to suffer discomfort or premature death because of lack of financial support. Click here for more information about our organization. All written inquiries and/or donations should be mailed to us at the following address. Items will be distributed to the appropriate contacts and locations. The National K-9 Working Dog, Inc.